Close your eyes and make a wish! 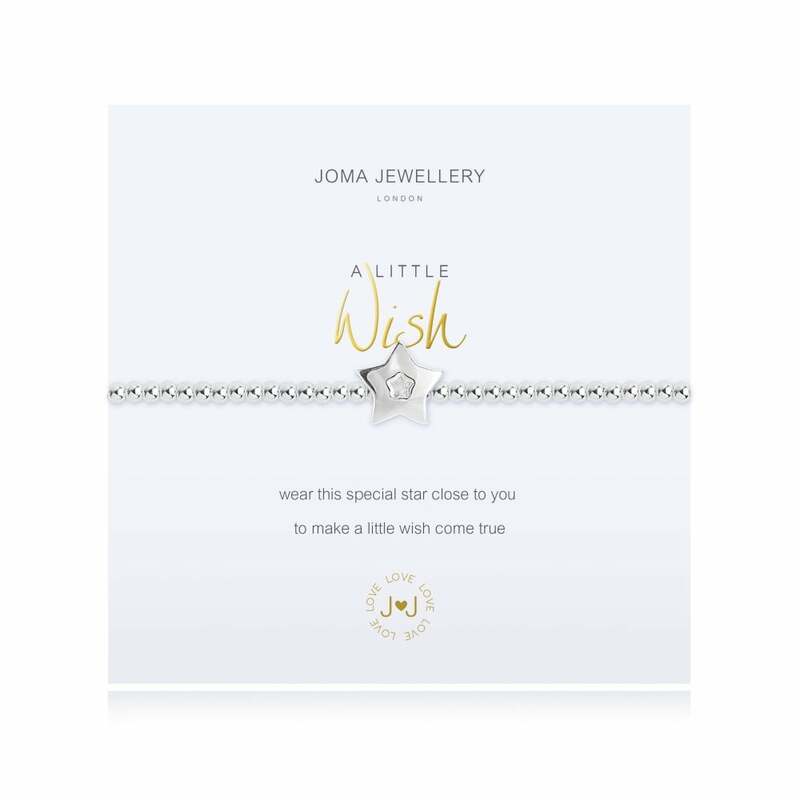 This Joma Jewellery bracelet is presented on a gift card that reads 'Wear this special star close to you to make a little wish come true'. This A Little Wish bracelet from Joma Jewellery means you can make a wish and keep it on your wrist! This elasticated bracelet with silver beads is finished with a silver star charm with a tiny star-shaped crystal in its centre - a dream come true for any jewellery lover! Please keep your item dry at all times and away from perfume and body creams in order to preserve any plating and to ensure your piece lives a long and beautiful life. Each piece of Joma Jewellery comes in a gorgeous Joma gift bag with a gift tag for you to write the recipients name for easy peasy gift giving. All Joma Jewellery is silver plated 3 times, strung with elasticated silk and made with real crystals, stones or pearls.